Avalanche risk management has shaped the identity of Alpine populations, who have developed local empirical knowledge, management and risk-avoidance strategies and cultural practices to guard themselves against avalanche hazards for centuries. Nowadays, modern tools complement traditional knowledge, which continues to be developed on the ground by knowledge bearers. 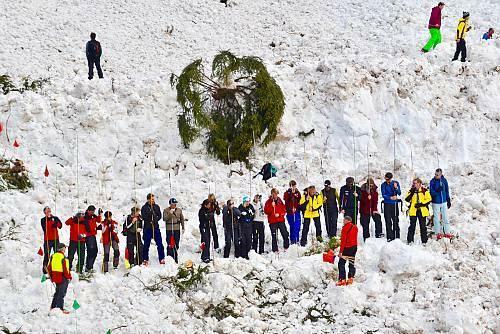 In both countries, preventing avalanches is a task involving the entire community; it forms an integral part of the everyday culture of the communities concerned and underscores the importance of solidarity in crisis situations. Authors and personalities: Gieri Venzin, director. Production: Monte films Gmbh, producer.Office fédéral de la culture, sponsor.